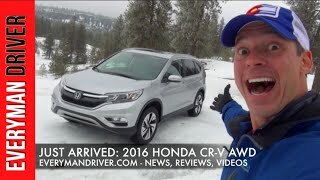 Introducing the fourth generation Honda CR V 2016, Honda since it’s very beginning of CR V, didn’t leave any stone unturned in bringing the best with every new generation. Hearing it from the officials the new generation model is housed with better engine, new transmission and better mpg figures. 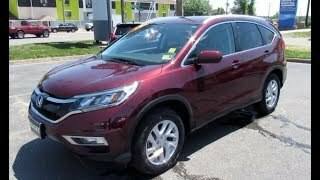 But let us not just jump to the conclusion and have a look at the review of Honda CR V 2016 to know in detail about the model. The interior of Honda CR V 2016 has taken a lap ahead in comparison to the outgoing model. The cabin comes drenched in high-end materials that offer you luxurious looks and comfortable sitting and touch. Not only this, the model is fitted with the world-first technology inculcated to enhance safety. Talking about the tech features it has an all new app-driven connectivity system. Getting back to the safety elements the model uses both radar and camera based technologies with the company’s new i-ACC system. 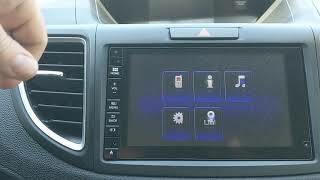 The all new infotainment system that comes with Honda CONNECT features internet browsing, satellite navigation, internet radio and rear-view parking camera. Apart from these the interior of Honda CR V 2016 comes with series of packs and options that will make your car more personalized and better. 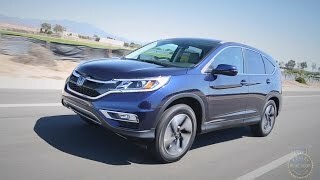 The exterior of Honda CR V 2016 is a live example of aggression and sophistication amalgamated together. The design has been created keeping especially in mind the taste and preference of British Customers. Starting with the front fascia the model comes with new slim headlamps integrated with halogen bulbs and LED daytime running lights and HID projector headlamps. Just like the front the rear also gets the LED combination lamps giving the model a bold appearance. 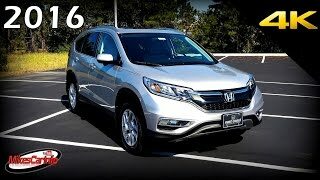 The entire model rolls over newly designed 17” and 18” wheels while the chrome effect and little other integration make the overall exterior details of Honda CR V 2016 both luxurious and aggressive. Beneath the hood of Honda CR V 2016 are three powertrain options; first two are 1.6 liter diesel engines cranking total output of 158 hp and 118 hp respectively and peak torque of 350 nm and 300 nm respectively. The third one is a 2.0 Liter Petrol unit generating total output of 152 hp and peak torque of 192 nm. As standard all the three engines come paired to six-speed manual transmission while the buyers also have an option to bring home nine-speed automatic transmission with first engine and a five speed automatic with the gasoline unit.